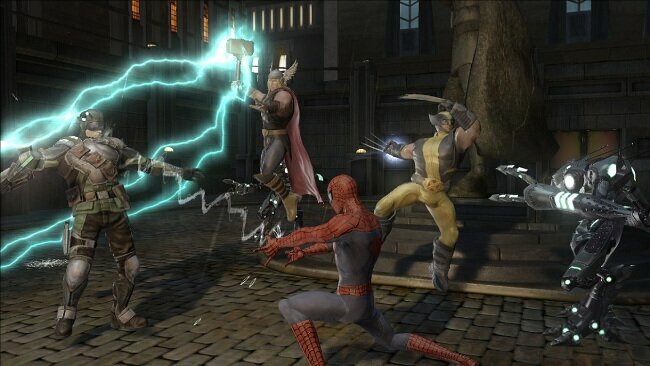 Marvel Ultimate Alliance and Marvel Ultimate Alliance 2 will be coming to modern gen consoles. Fans will also be glad to hear that the games’ re-release could mean something more for the franchise. The re-releases will offer some improvements but strive to be faithful to the originals. They will have a performance boost as well as some UI and graphical upgrades. Beyond that, those who played the originals should see everything they loves back for a new generation of consoles. Fans can purchase the games for $39.99 each or can buy the bundle for $59.99. Currently, the games will only be available digitally on the PlayStation 4, Xbox One, and PC. While fans will already be ecstatic to see these two great games be re-released for a new generation, there is even more good news. Executive producer Mike Jones has stated that this re-release could mean a new beginning for the franchise when he stated that “anything is possible.” This is great news for fans and I look forward to seeing if we get more from the franchise.